In this post I’ll talk about Nicolas Copernicus (1473 – 1543) and the heliocentric theory. The move away from the prevailing Earth-centred theory of the Universe to the heliocentric theory represents one of the greatest advances in astronomy ever made. As mentioned in my last post, the geocentric theory was the generally accepted theory of the cosmos until the early 16th century, having been developed by the second century Greek astronomer Claudius Ptolemy. To make it fit the observations, Ptolemy needed to fine-tune his theory, making it rather complex. 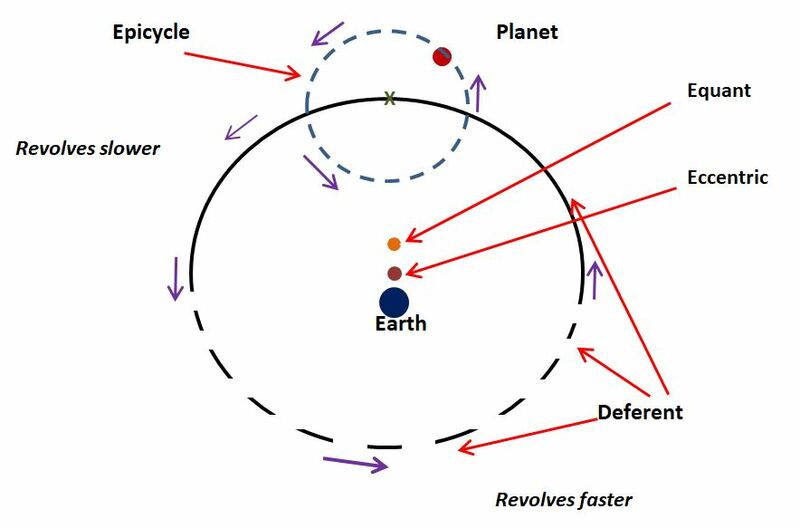 Rather than moving directly around the Earth, the Sun, the Moon and the planets moved around small circles called epicycles and the centre of each epicycle moved, at a varying speed, around a larger circle called a deferent. A further complexity was that the centre of the deferent wasn’t the Earth but a point nearby, which Ptolemy called the ‘eccentric’. This was at a different location for each planet. This is shown in the diagram below (to simplify the diagram only a single planet, Mars, is shown). By the year 1500 observations had shown that the predictions of Ptolemy’s theory still didn’t quite match the actual positions of the planets. 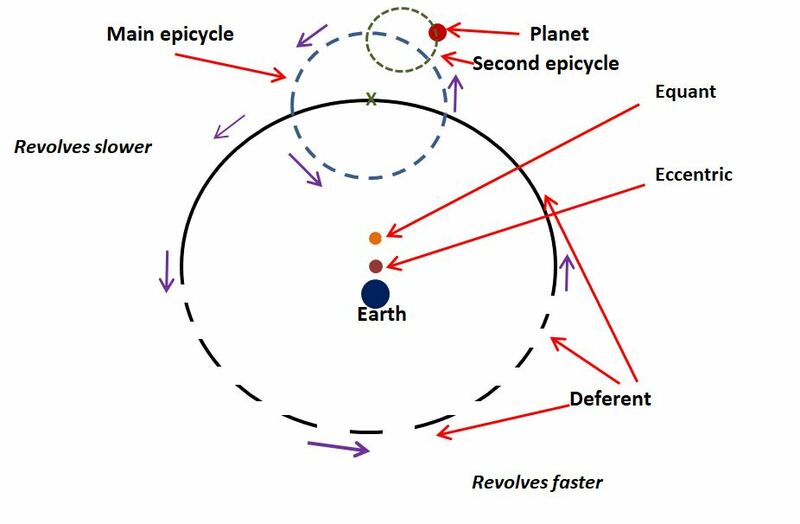 Because the geocentric model was generally accepted, the way astronomers made it fit the observations was to add additional epicycles, as shown in the diagram below. the deferent was centred at a point near the Earth called ‘the eccentric’. This made the theory rather unwieldy and it appeared somewhat cobbled together. In fact the term ‘adding epicycles’ is used today in a derogatory way to mean making a bad theory over-complicated in order for it to fit the facts. In 1473 Nicolas Copernicus was born, in the city of Torun in northern Poland into an influential and wealthy family. His father died when was 10 and the education of Nicolas, a bright child, was supervised by his uncle Lucas Watzenrode the Younger. His uncle was a influential prince-bishop (a bishop who was also a secular ruler over a region of Poland), in contact with many of the leading intellectual figures in the country. 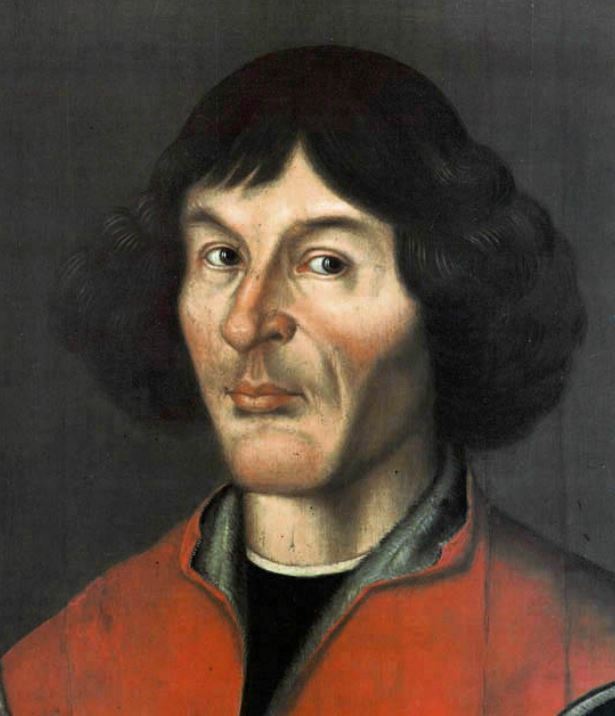 After he left school, Copernicus went to the University of Krakrow from 1491 to 1495 where he studied mathematics and astronomy, under some of the leading intellectuals in Poland. Although he did not graduate, his studies at Krakow gave him the grounding for his later work. 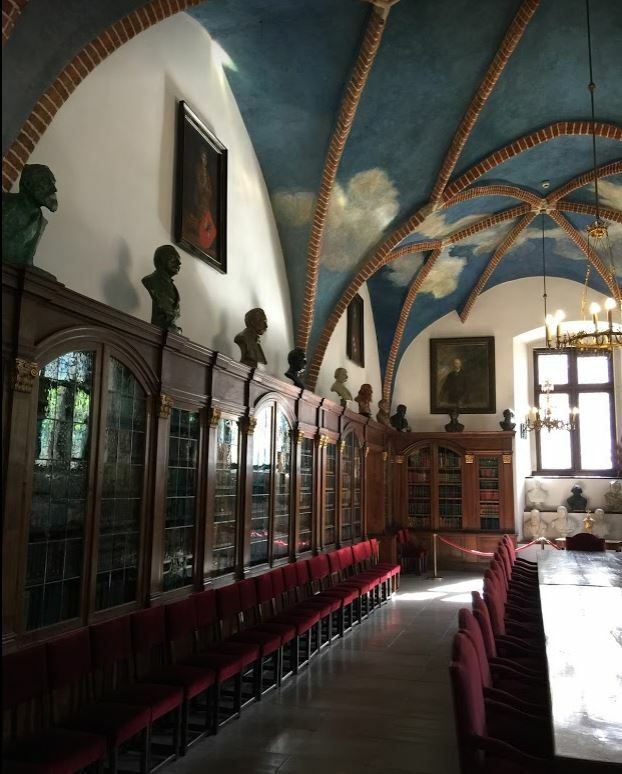 Mrs Geek and I were lucky enough to see the rooms occupied by Copernicus’s tutors during our recent visit to Poland. Part of a dining room at the Jagiellonian University in Krakow, Poland, where Copernicus studied. Founded in 1364, it is one of the oldest universities in the world. This photo was taken by Mrs Geek during our recent visit to Krakow. 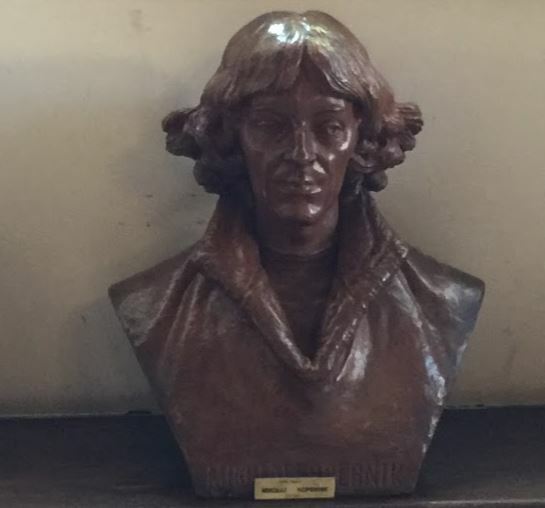 After leaving Krakow, Copernicus studied ecclesiastical law and medicine in Italy before moving back to Poland in 1503 to live in the town of Warmia, which was governed by his uncle, and he lived there for most of the rest of his life. Rather than being a professional scientist, his main job was as a Catholic clergyman and local government official. The Sun (not the Earth) was the centre of the Universe. The Earth and all the planets moved in perfect circles around it. The Moon was the only astronomical object which orbited the Earth. The Sun is much nearer to the Earth than any of the other stars, by a vast measure. The daily rising and setting of the Sun, Moon, planets and stars are explained by the rotation of the Earth on its axis. The third point was needed because if some stars were relatively close to the Sun, for example only 100 times the distance between the Earth and the Sun, then there would be a measurable ‘stellar parallax’ effect, where the nearby stars would appear to be in a different position at different times of year. Stellar Parallax – at different times of year, the nearby star appears to be in different positions with respect to the background of fixed stars. Because stellar parallax had never been observed, Copernicus concluded that all the stars must be at a vast distance from the Sun. The parallax is so small that it couldn’t be measured in Copernicus’s time. It wasn’t detected until the mid nineteenth century. Mercury and Venus differ from the other planets in that, to an observer on the Earth, they never stray too far away from the Sun and, to viewers at low latitudes, they can only be seen for a few hours after sunset or a few hours before sunrise. 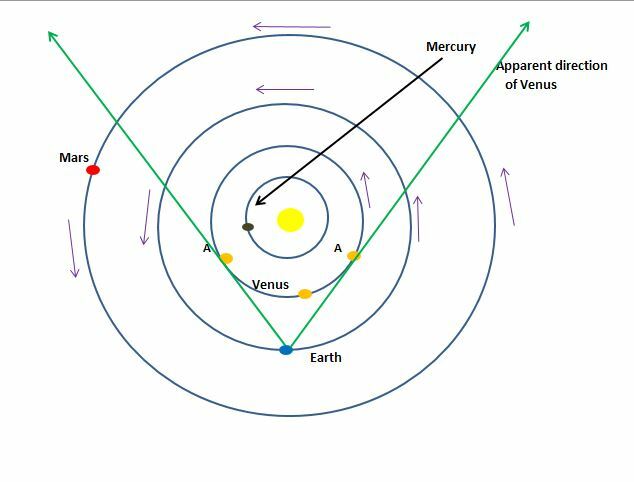 The reason why Venus and Mercury always appear in the same part of the sky as the Sun is neatly explained by Copernicus’s theory in that their orbits lie inside the Earth’s orbit. Copernicus refined his theory over the next 20 years to match accurate observations that he and other astronomers had taken. As he did so, his ideas began to circulate among the educated elite within Europe. He had finalised his theory by 1530, but he was extremely reluctant to publish it. He was well aware that it would cause a massive controversy, for at the time the Ptolemaic system was generally accepted by virtually all astronomers. With his ecclesiastical background, Copernicus also knew there would be religious objections, for certain verses in the bible could be interpreted as saying that Earth was stationary and rest of the Universe was in motion around it. Under pressure from colleagues to make his ideas more widely known, in 1543 he finally agreed to publish them in a book called ‘De revolutionibus orbium coelestium‘ (On the Revolutions of the Heavenly Spheres). By this time Copernicus was ill and near the end of his life. His book, like most scientific literature of time, was written in Latin and, perhaps to ward off the religious objections he knew would arise, he dedicated the book to the pope. The printing of the book was supervised by the German theologian Andreas Osiander, as Copernicus was too ill to do it himself. Unbeknown to Copernicus, Osiander added a preface saying that the heliocentric theory should only be considered as another model of the Universe, which could be used to predict the positions of the stars and planets, and should not be taken as true, the truth being known only to God. Although the book escaped initial censure, over the 50 years following its publication the Catholic church became more and more hostile to heliocentrism and eventually regarded anyone holding these views as a heretic. 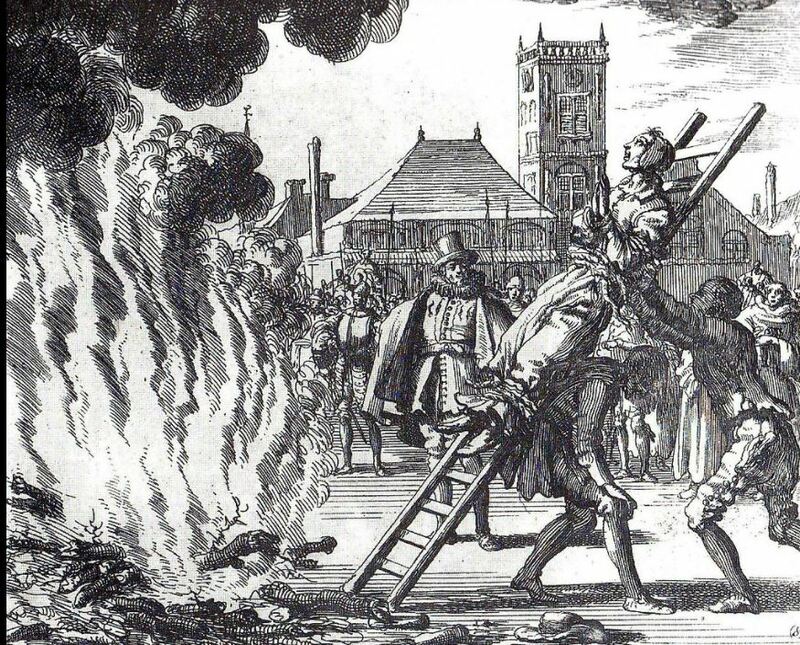 The Italian astronomer and philosopher Giodarno Bruno was burned at the stake in 1600; one of the main charges against him was promoting a heliocentric view of the Universe. In 1616 De revolutionibus was placed on the list of banned books by the Catholic church, where it would remain for the next 200 years. ‘There is talk of a new astrologer who wants to prove that the Earth moves and goes around instead of the sky, the Sun, the Moon, just as if somebody were moving in a carriage or ship might hold that he was sitting still and at rest while the Earth and the trees walked and moved. But that is how things are nowadays: when a man wishes to be clever he must needs invent something special, and the way he does it must needs be the best! The fool wants to turn the whole art of astronomy upside-down. However, as Holy Scripture tells us, so did Joshua bid the sun to stand still and not the Earth’ (Pogge 2005). Like all earlier astronomers, Copernicus still believed, probably for philosophical reasons, that the planets must move in perfect circles. So in order to make his theory fit the facts he needed to retain the concept of epicycles. The heliocentric theory was refined in the early seventeenth century by Johannes Kepler (1571-1630), who formulated a set of rules which became known as Kepler’s laws of planetary motion. These state that the planets move in elliptical orbits around the Sun and that they move at varying speeds around these orbits, moving faster when they are closer to the Sun. In this theory, Kepler removed the need for epicycles altogether and produced a simpler model which accurately fitted the observations. Kepler’s theory, which in turn led to Issac Newton developing his theory of gravity, is such a large topic that I will discuss it in more detail in a future post. Copernicus removed the Earth from the centre of the Universe and his theory provided the foundation for the later work of Kepler. In cosmology, there is an important concept called the ‘Copernican principle’. It states that the Earth, the Solar System and even the Milky Way galaxy are not in a special place in the universe. We belong to an average planet, orbiting an average star, on the edge of an average galaxy. Copernicus’s contribution to science has been acknowledged in many ways. He is one of the few people to have an element in the period table named after him, copernicium, element 112. There are numerous statues and monuments to him including this one below in the Jagiellonian University in Krakow. In Torun, Copernicus’s birthplace, the Nicolaus Copernicus University has over forty thousand students and is one of the largest universities in Poland, and the airport in Poland’s fourth largest city Wrocław is named after him. Pogge, R (2005) A brief note on religious objections to Copernicus, Available at:http://www.astronomy.ohio-state.edu/~pogge/Ast161/Unit3/response.html (Accessed: 20 November 2017). I look forward to it. I find it fascinating that in popular culture he gets more credit for the heliocentric model than Copernicus. The difference that dedicating the book to the pope versus writing one that was taken as an attack on the pope. The politics of science. Very interesting post. I knew a geocentric view of the universe was accepted before Copernicus’ theory, but I had no idea it was so old or so strongly endorsed by the Church. And Martin Luther’s spirited defense of the geocentric model surprised me too! I didn’t know he had opinions on astronomy. Is there any indication that Copernicus was aware of the work of Aristarchus of Samos the ancient Greek mathematician and astronomer who published a heliocentric theory of the solar system? Proposed in the 3rd century BC, his theories were rejected by later Greek scholars who favored the geocentric theory. From what I’ve read when researching this post, it is not clear whether or not Copernicus was aware of the earlier work of Aristarchus. Some accounts say he was other he wasn’t. Well, I am afraid that Ra is the winning concept. Moreover Ra was the first to perform a resurrection. Everyday. Great read! Have you seen what Copernicus looked like via facial recognition technology? He had quite the nose, lol! But what a man he was. He was genius just in waiting to release his book and the heliocentric ideas he had; he knew if he didn’t, he would be labeled a heretic. I often wonder how much the astrophysics world would have been set back, had he not released his heliocentric model. If you think about it, a lot of Isaac Newton’s work was because of Copernicus and the heliocentric ideas. Thanks four your comment and yes you’re right.